You’re invited to the FANHS-OR Quarterly Meeting on Feb 11, 2017! FYI, Please pass on the good news to your friends and families. In case you haven’t heard the new bishop of Salt Lake City is a Filipino. You’re invited to the FANHS-OR Quarterly Meeting on Nov 19, 2016! 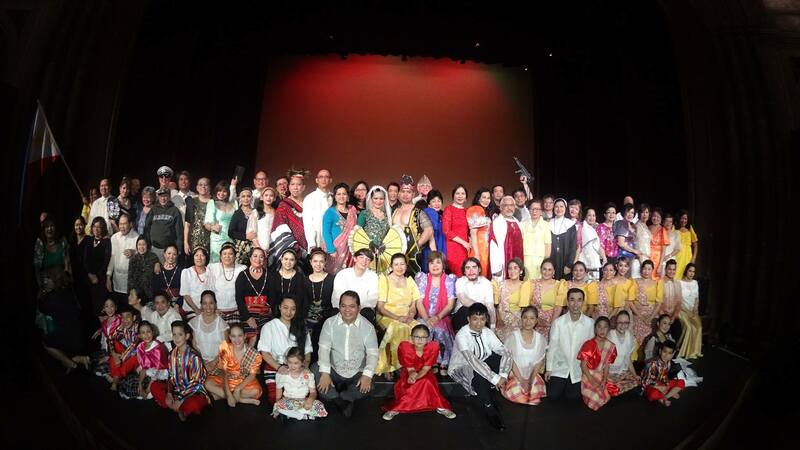 Filipino American History Month ended with a fabulous show in Salem! HISTORAMA Oregon is a remarkable teaching tool and a reminder of the wonderful nation that shaped the strong values we brought with us and helped us make significant contributions to our new country. The combination of the spectacular performance and the historic venue made the show a truly memorable event in Oregon and wonderful ending of the Filipino American History Month. -Photo by Mary Ashley Rashid. In 2015, FANHS held its symposium, celebrating the 50th anniversary of the 4th wave, with CFAA biennial celebration on September 5 and a 3-month display at the Salem Multicultural Institute. In 2016, Jimmy and Dory Lim of PACCO are bringing Philippines HISTORAMA to Oregon on October 29 to celebrate the Filipino American History Month. We are delighted to remember where the 4th “wavers” and other immigrants came from and the colorful history we left behind. JOIN US IN THIS CELEBRATION!!! This 2-1/2 hour song and dance show is a must-see for those who need and want to learn about Philippine history and the events that developed the multicultural value system brought by Filipino immigrants to America. All proceeds from this event will benefit the building of the future Philippine Asian Cultural Center.